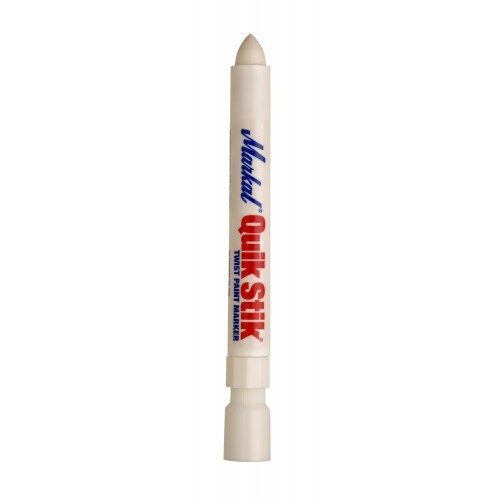 Quik Stik is a smooth-marking solid paint crayon that dries quickly to leave a bold, permanent mark on most surfaces. The durable plastic twist-up holder prevents breakage. Keep hands, clothing, and toolboxes clean with the industry's largest twist-up solid paint marker.